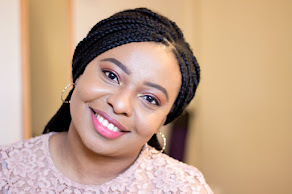 I love body care products and I have pretty much stuck to my four favourite brands for a good while. Last month, I was contacted by Apple & Bears introducing me to their brand and asked if I would like to try out their products. Of course, I was curious because I had never heard of the brand so I went onto their website to check them out. First off, I love the name- Apple & Bears. I found out they are a natural and organic brand and my interest was piqued. 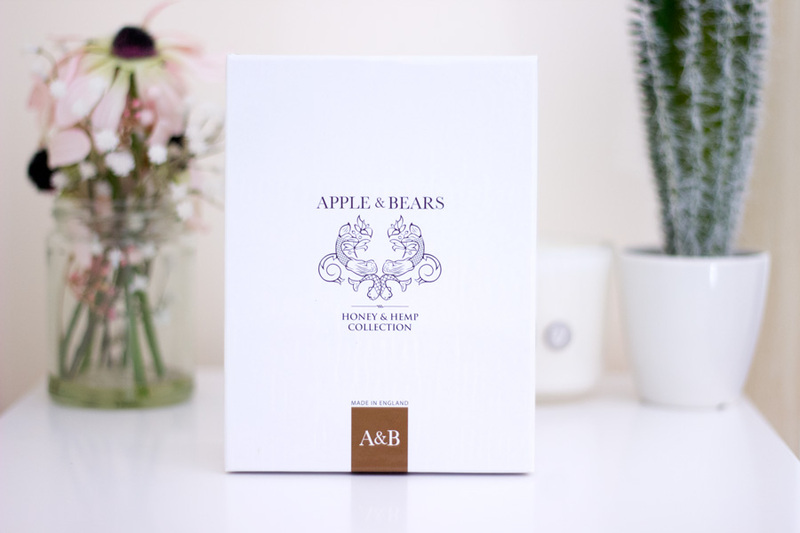 I was very kindly sent the Apple & Bears Luxury Gift Set- Honey & Hemp* and I have enjoyed it. They also kindly offered to give one lucky reader the same set I have as well as a 15% discount code for all my readers. I will leave all the details below. Apple & Bears is a family owned and operated British brand that have developed luxury natural and organic beauty products using high quality ingredients. They are all produced here in the UK so they have greater control of what exactly goes into each product. They also adhere strictly to ethical values and social responsibility to the environment which is always good to know that brands care about these things. You can find out more about the brand over here. The best part is they are official partners of Breast Cancer Charity and they donate 5% of their profits to the charity. I think that's such a great cause to support and I know everyone knows at least one person who has or is currently experiencing breast cancer. All the products have a cute little pink ribbon on the side and they briefly talk about the charity. I quite like the packaging of the luxury gift set especially of the bottles themselves. I love the white theme and illustration on each bottle. It is definitely the kind of body care product I love to see in my bathroom. 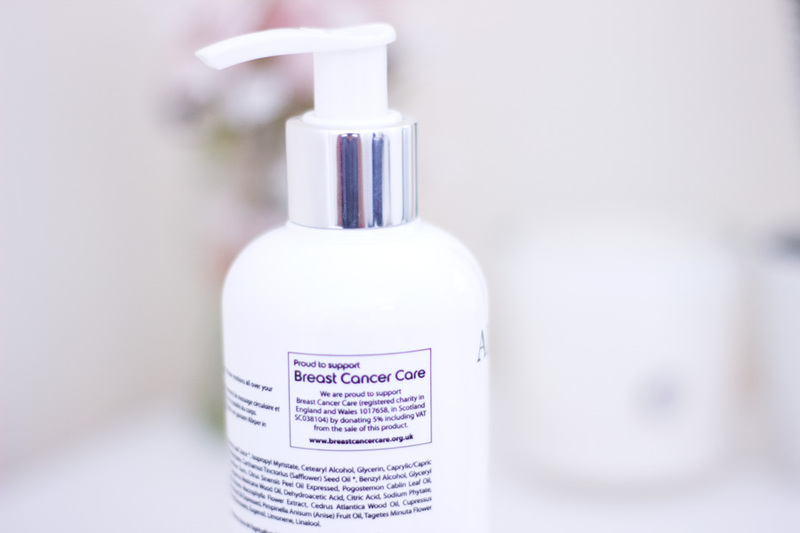 I am so pleased that the Body Silk bottle has a pump to allow for easy use. I wish the Body Wash came with a pump too. That would have been absolutely perfect!! The luxury gift set box in itself is quite sturdy and you can see the contents of the box behind it. I think this will make a great Christmas gift and all I would do is just tie a ribbon and I am done. Inside the luxury gift set, you get the Honey & Hemp Body wash (300ml) and the Honey & Hemp Body Silk (250ml). It smells lovely and natural as expected from a natural and organic brand.. I think the blend of Hemp, Honey, Aloe Vera and Anise among other ingredients gives the range a great balance. The Honey & Hemp Body Wash lathers really well and it works great with my loofah. 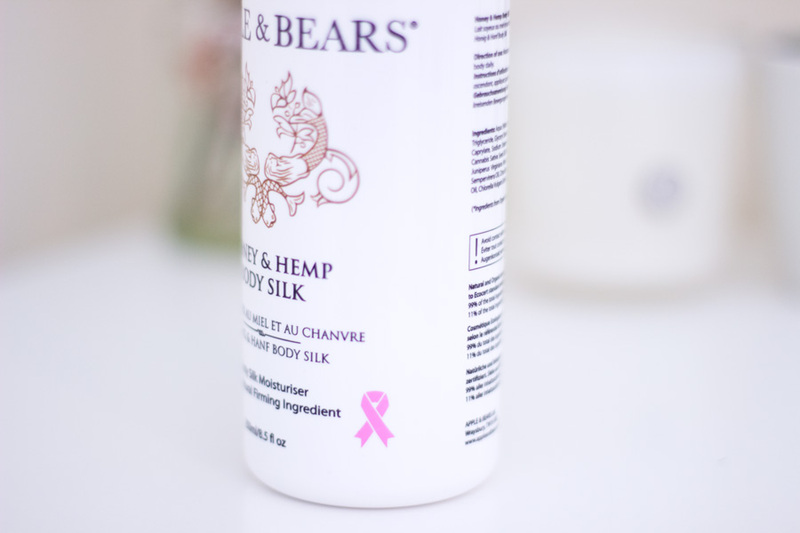 The Honey & Hemp Body Silk really feels very luxurious and smooth on the skin. It's not called Body Silk for nothing because it really has a silky feeling to it but definitely not greasy. It gets absorbed well and gives the body the right amount of moisture needed. I believe Apple & Bears are currently only sold on their website here. Their stockists can be found here and they are available in the US, UK, Europe and other parts of the world which is impressive. They offer free shipping for purchases over £18 which seems reasonable. I am excited that they are offering a giveaway and a discount code. For a 15% off your purchase, use discount code "FASHSTYLELIV15". 1. Enter through the Rafflecopter widget below so I can choose a winner easily. 2. Instructions- Follow Apple & Bears Facebook, Instagram and subscribe to their newsletter here. 3. Follow Fashstyleliv on Instagram. 4. Leave a comment below telling me "What's the first beauty product on your Christmas Wish List?". 5. Ends on 31st December 2017. 6. You must be 18 years and above to enter this giveaway. By entering this giveaway, you are confirming that you are above 18 years old. 7. Good luck to everyone. Some Nice products like the oil.